In today’s modern society, it’s commonplace for women to hold careers while raising children. With women being outnumbered and underpaid, as compared to men in the work field, according to recent studies, many don’t want to lose their positions of recognition to become a stay-at-home mom. This is a tough choice and something every mother must decide for herself. If you choose to work while pregnant, here are some things to bear in mind. By law, potential employers are not allowed to ask about personal matters, such as expectancy or if you already have children. It’s important to remember that while in an interview or creating your résumé, you’re selling yourself: your skills, your experiences. You shouldn’t use your pregnancy as a pity card or a bargaining chip to get hired. Focus on what you know. You’re a strong, capable woman who doesn’t need a crutch, so put yourself out there. Being pregnant takes an incredible physical toll on your body. It’s crucial that during these delicate months you don’t over exert yourself. As the pregnancy goes on, you might have to cut back on your hours to give your body enough rest. Sit down and rest your feet when you can, if you have a busy position. If you are sitting most of the day, take breaks to walk around and stretch your legs and back. Drink plenty of water, especially in the summer months. Make sure you discuss with your employer the terms of your maternity leave, as well. The laws vary by state, so clarify the length, whether you’ll be paid, etc. 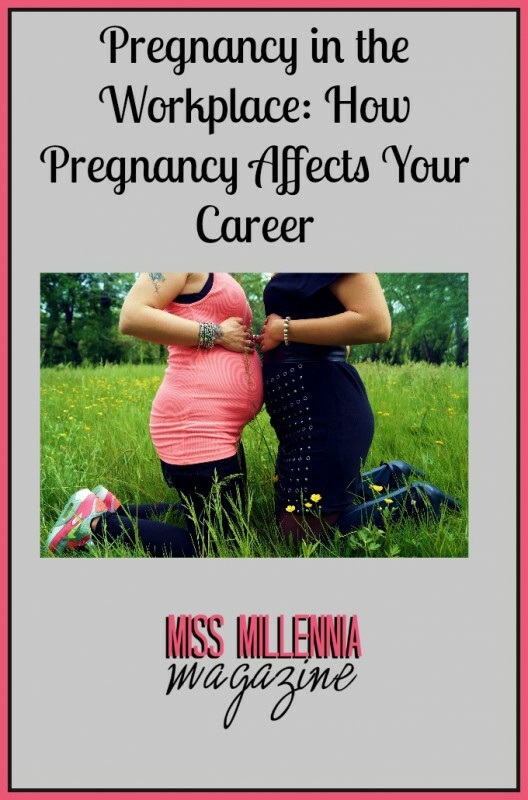 Pregnancy can potentially improve your job performance. Taking care of another being who is completely dependent on you changes your entire outlook on life. You will be more careful during your commuting, you will manage your time more efficiently and you’ll probably eat healthier, which can improve your focus. Pregnancy can also increase your self-confidence, causing you to feel stronger and wanting to take on new projects in the workplace. For a list of other benefits, click here. There’s a flip side to this. Sadly, pregnancy can affect you not so pleasantly, such as mood swings, drowsiness and nausea. These effects can decrease your motivation to go to work. Humans are naturally liable to make decisions based on emotions and feelings instead of practicality. If you’re going to be a career mother, you need to be driven and the have strength and will power to overcome these feelings. It’s a balance between knowing what your body can do and pushing yourself too far. As always, consult with your doctor about how your job will affect you and the health of your baby. Stay awesome, Gen-Y moms!